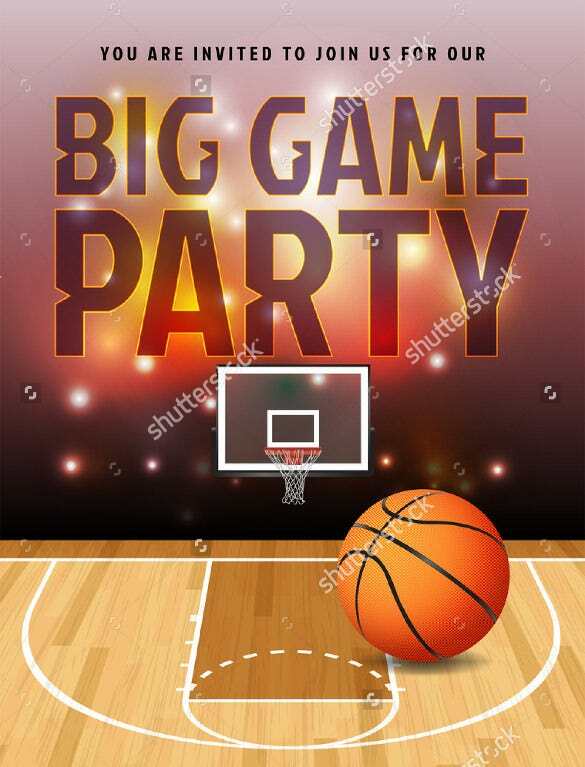 Basketball, the sport monopolized by tall people and black people. 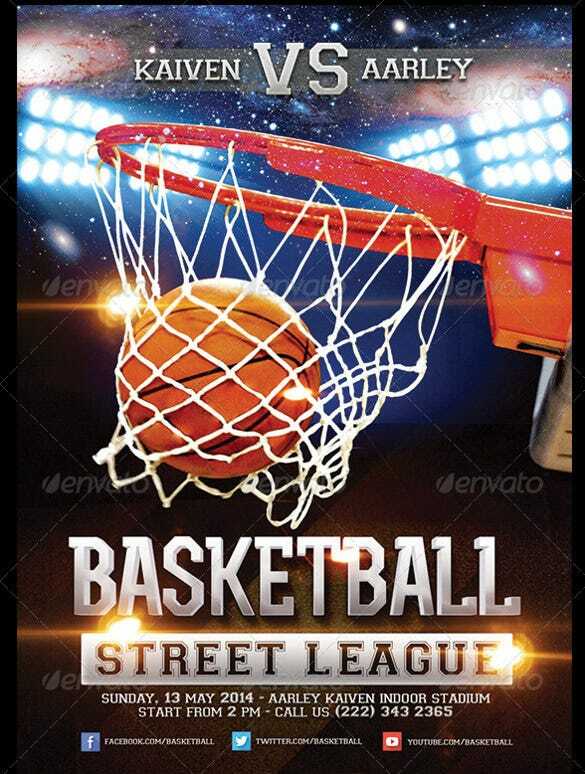 A vigorous game where two teams try to run and dodge past each other and throw a watermelon sized ball into a basket placed really high at a height nearly eight feet from the ground. 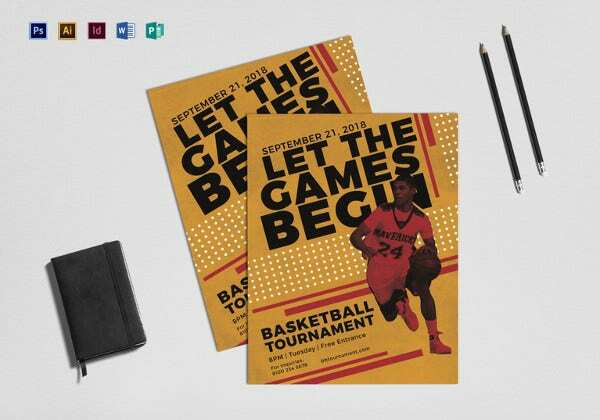 Players throw the ball to score points; it is one of the most popular games in the world.You can also see Basketball Brochure Templates. 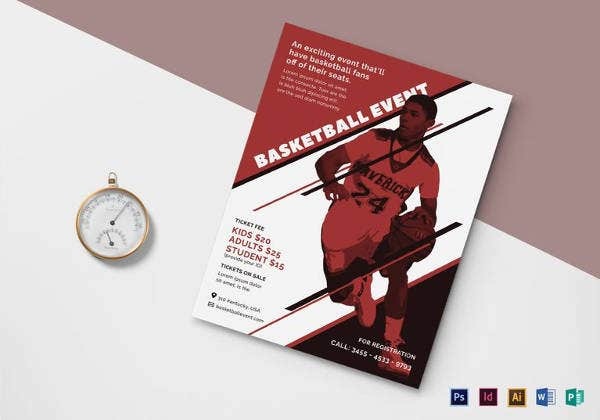 Now design the perfect flyer to invite people to try out for your basketball team or to come and watch your team play with this amazing Free Flyer Template crafted by professionals. This highly editable template is dual purpose and easy to use. 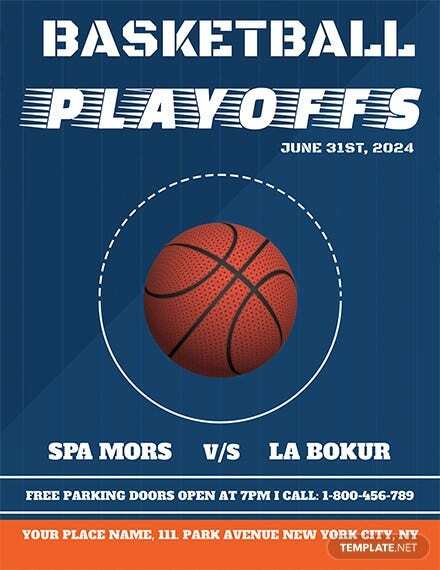 This basketball flyer template comes with stadium background, CMYK colors, 300 DPI resolution and printer friendly format. It enables changing colors, texts, adding or removing objects. It comes with layered files, three balls as well as help file. It is completely editable template. 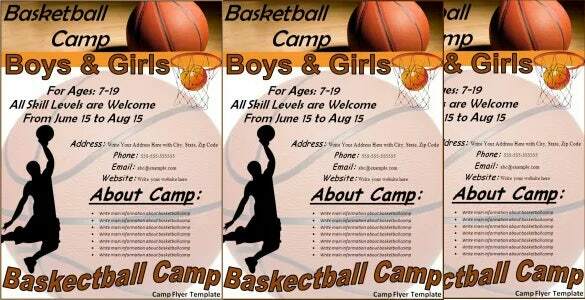 This basketball flyer template comes with three variations of color schemes and editable in Photoshop CS3. 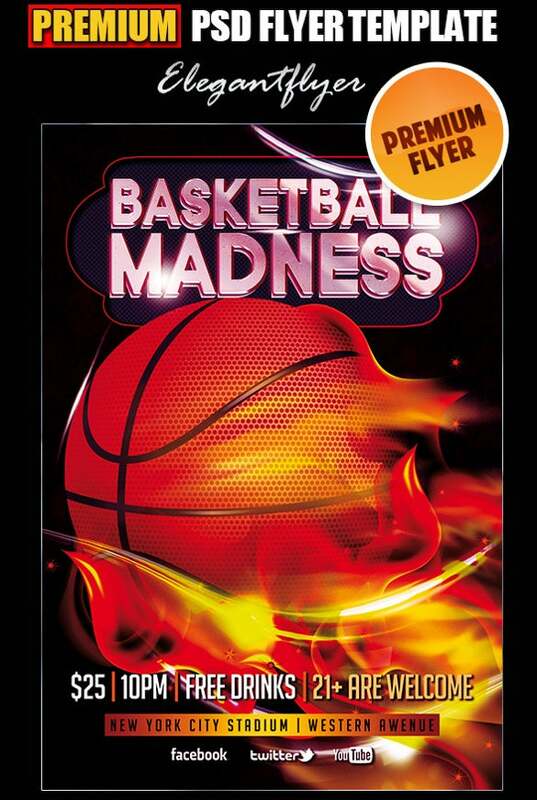 It can print 8.5 x 11 inch flyer and uses free fonts. It comes with 300 DPI resolution and CMYK colors. It provides brief instructions also. 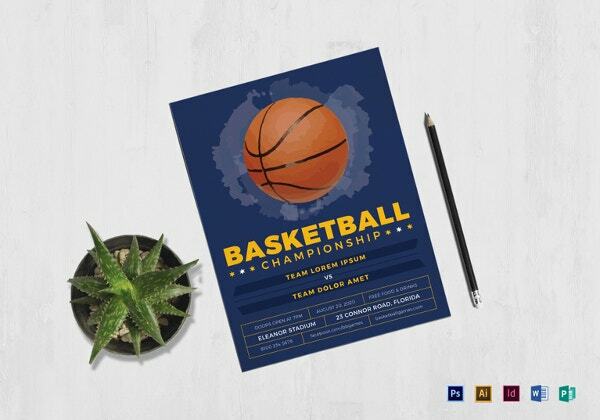 This basketball flyer template comes with 4 x 6 inch size, 300 DPI resolutions, RGB & CMYK colors and printer friendly format. It also comes with organized and layers with appropriate names. It allows editing color as well as text. It provides model photo and one can change it too. 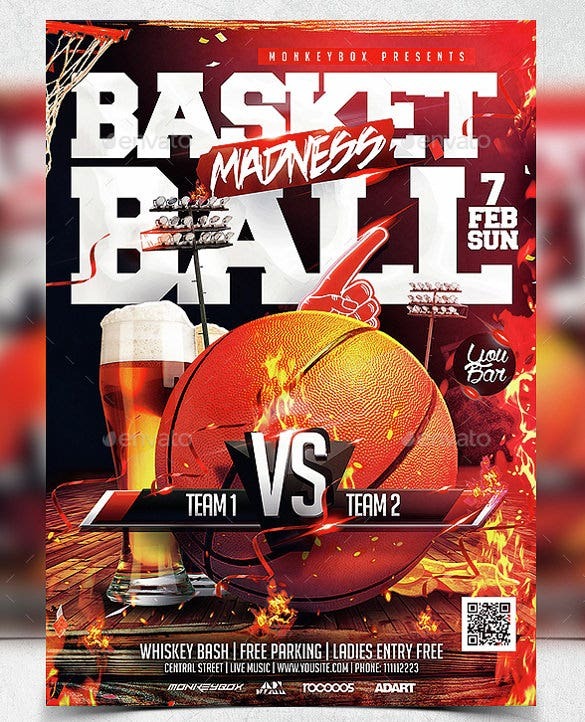 This basketball flyer design template comes with completely editable PSD file; the layers are organized, colored in a well structure manner. 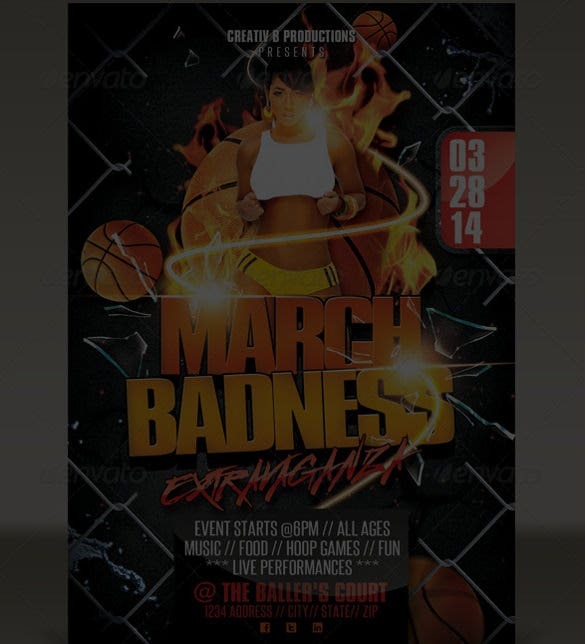 It is very simple to customize template including colors, texts, and images. It supports CMYK colors and printer ready format. 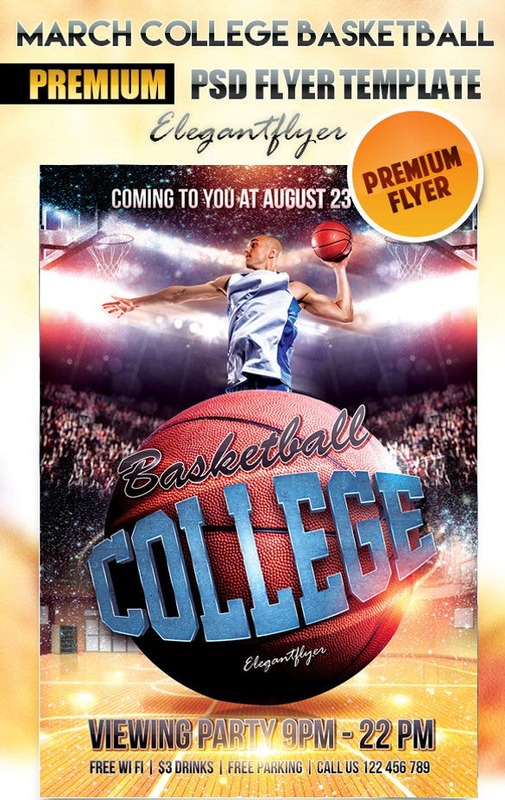 This Premium basketball flyer template comes with 4 x 6 inch size and it is completely layered. It supports 300 DPI resolutions and CMYK colors. It comes with free fonts, help file, and customizable PSD file. It is easy-to-use template. 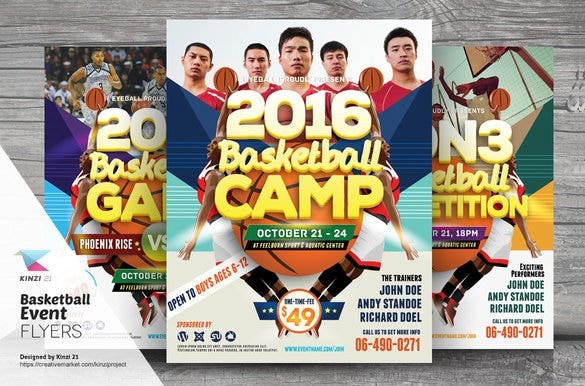 This basketball flyer template comes with 4.25 x 6.25 size, 0.25 bleed, 300 DPI resolutions, CMYK colors and printer ready format. 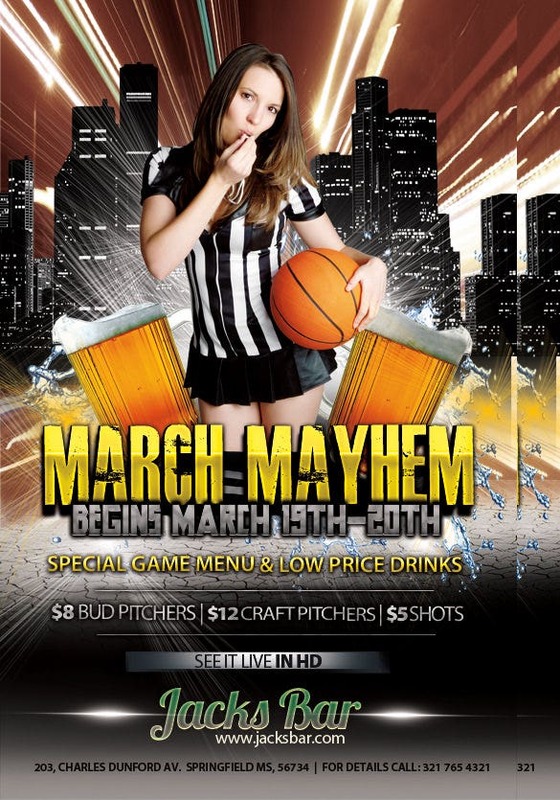 It comes with PSD layered file and completely customizable including texts, colors and images. It provides zooming facility as well. 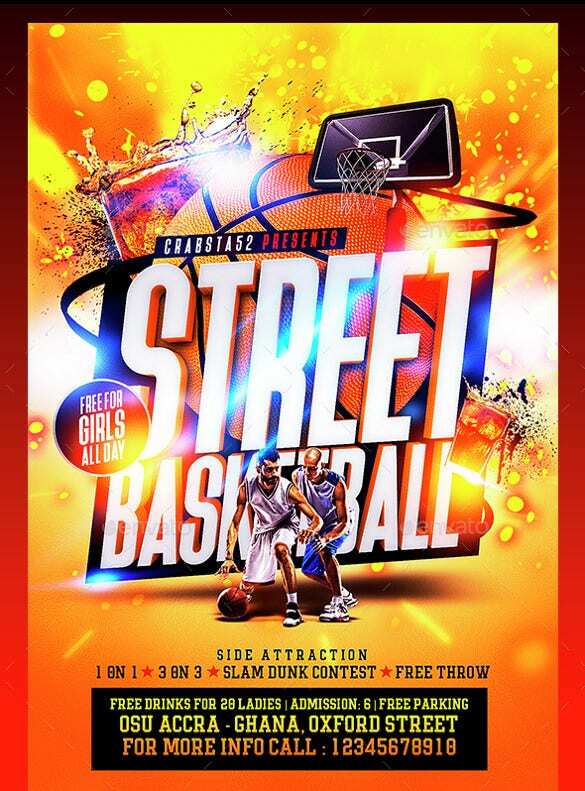 This basketball flyer template comes with 4 x 6 size, 300 DPI resolution, CMYK colors, and printer friendly format. 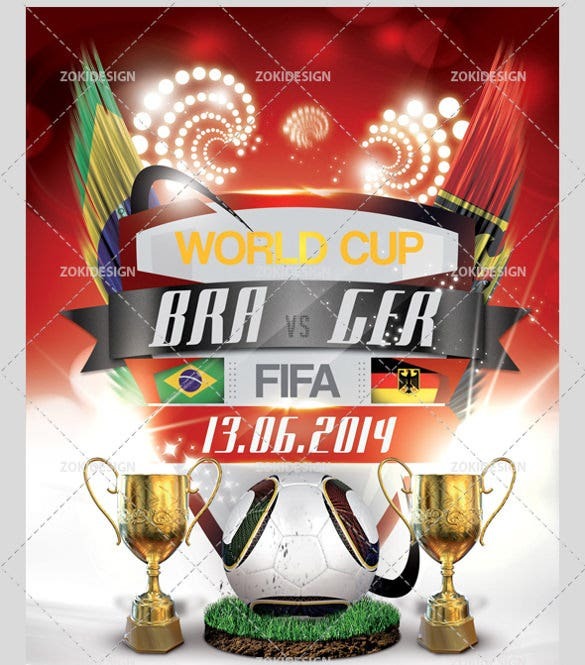 It is an organized PSD file with colored layers and allows editing texts as well as elements. 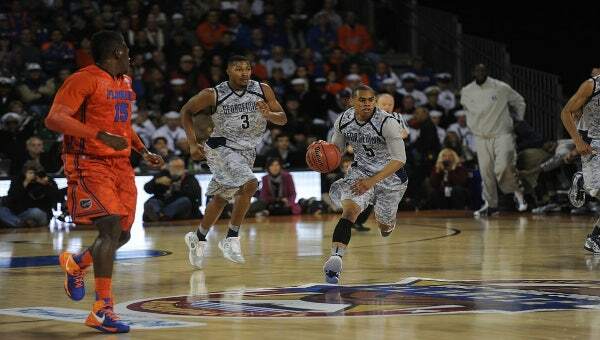 It provides two different template versions. 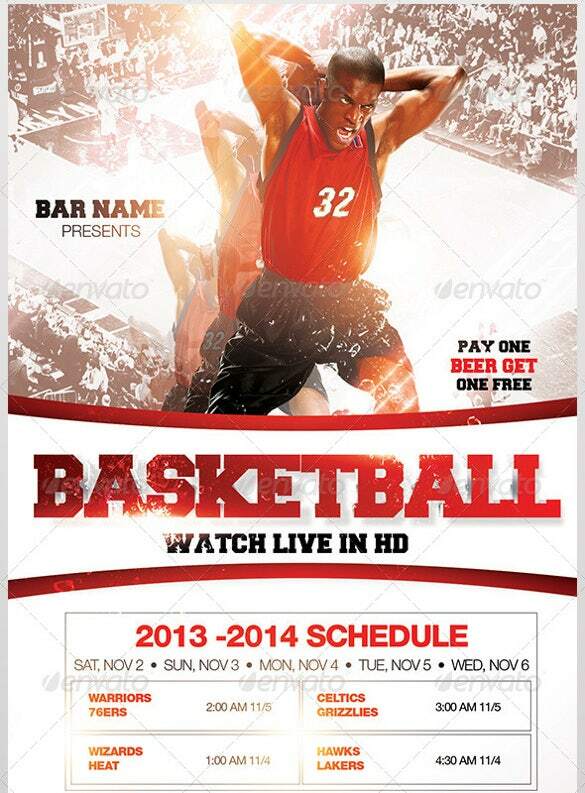 This premium basketball flyer template provides high resolution PSD file and the template is completely editable. It comes in several sizes and provides vector background. It allows changing images too. 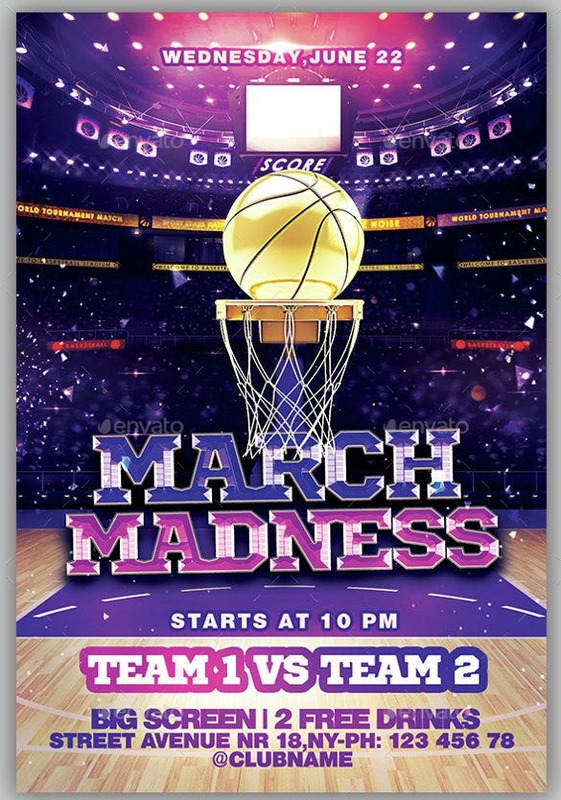 It is simple to use template which comes with gorgeous colors. 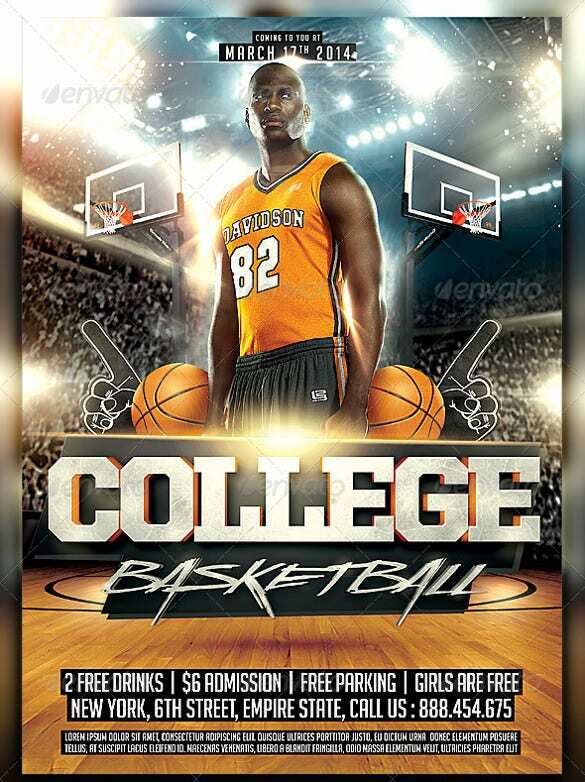 This basketball flyer template free comes with easy to edit half page Photoshop files and provides high quality design. 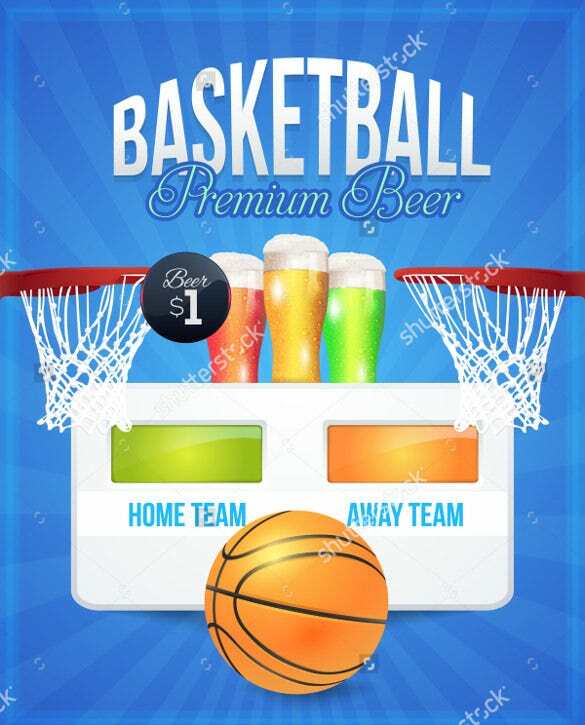 It comes with varieties of versions to suit the needs of the bar promotional activities. It is useful for designers and bar owners. 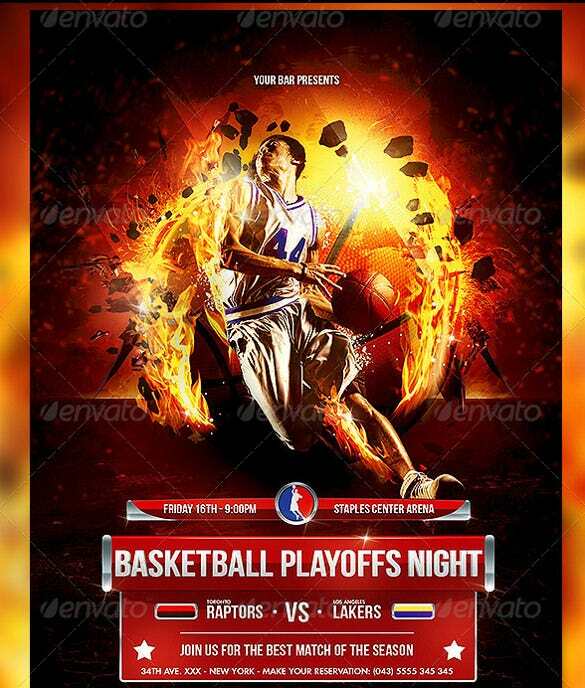 This basketball flyer template provides layers and folders and allows editing color, style, text, pictures. It comes with awesome colors and great patterns. It comes with 4 x 6 size, 300 DPI resolution, and CMYK colors. It is a PSD file and it is easy-to-use. 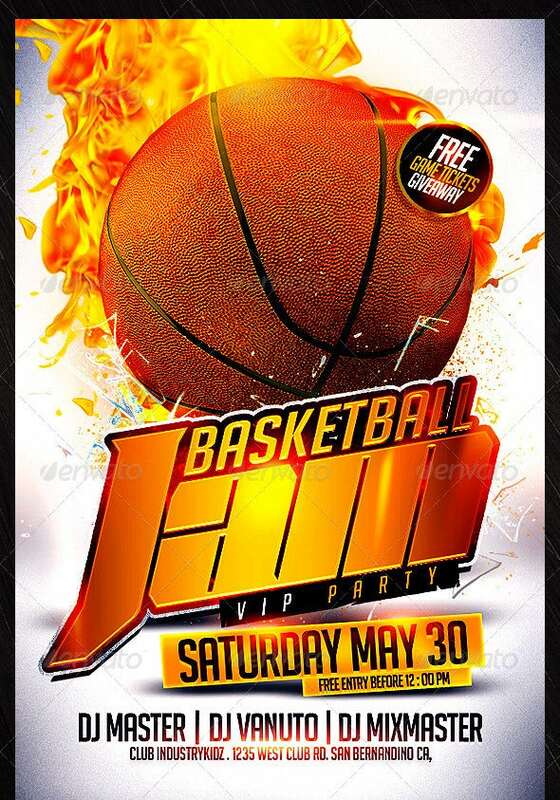 This basketball flyer template is completely editable PSD file and it is very simple to use. It allows quick editing texts, images, and colors. 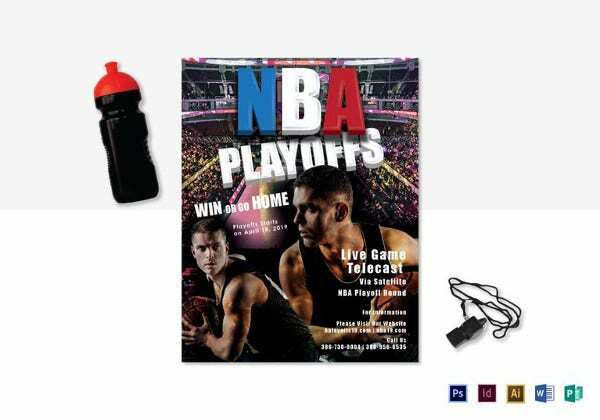 It comes with CMYK colors, printer ready format and 300 DPI resolutions. It also allows inserting images. 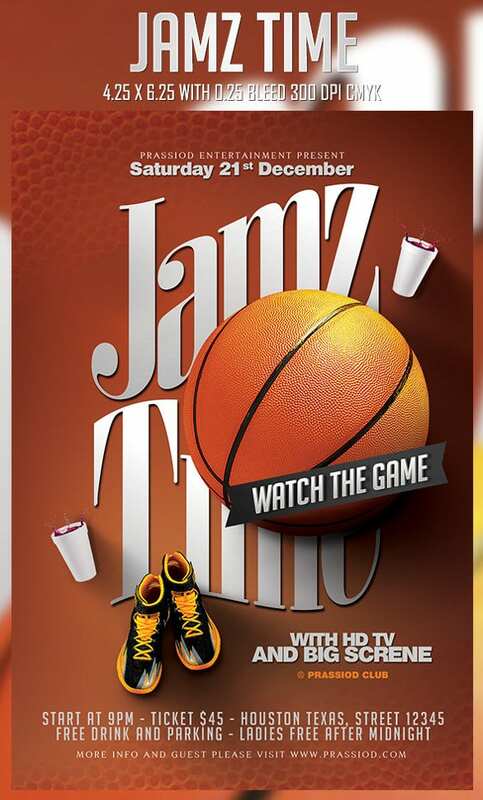 This basketball flyer template comes with editable PSD file, 5.8 x 8.3 size, 300 DPI resolution, and CMYK colors. 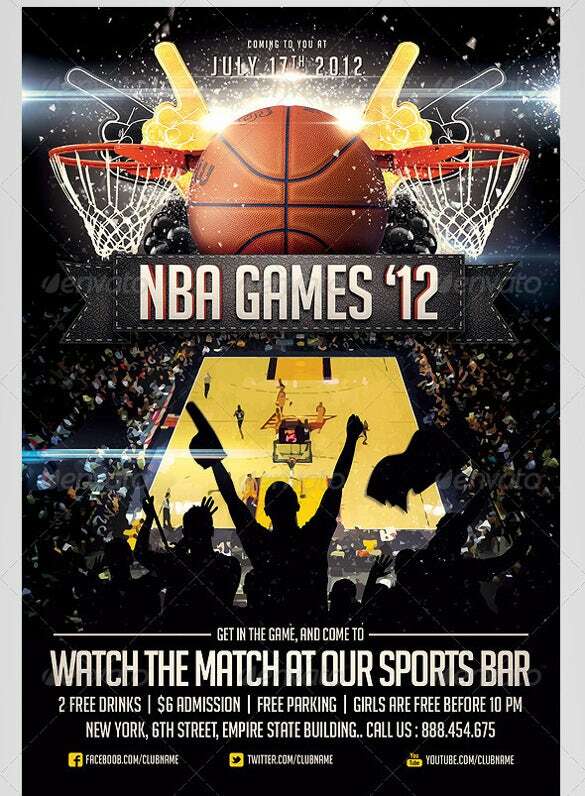 The PSD file is layered and organized in a structure way. It is simple to use template and comes with help file, video tutorial. 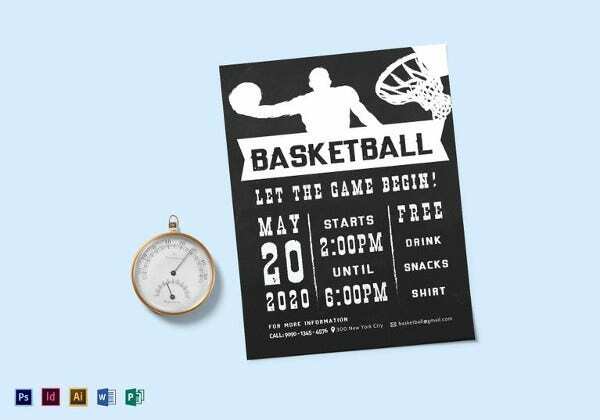 This basketball flyer template comes with layered PSD file of size 4 x 6 inch, very simple and quick to work with, CMYK and RGB colors, 300 DPI resolution, and printer ready format. It allows changing color, text and model photo. 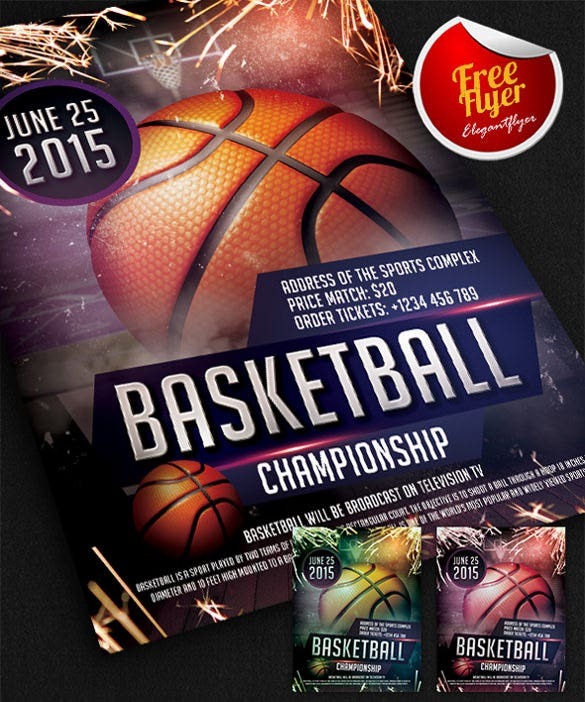 This basketball flyer template comes with 4 x 6 inch size, CMYK colors, 300 DPI resolutions, and printer ready format. It enables customization of all elements and comes with organized and named layers. It uses free fonts and provides user guide. 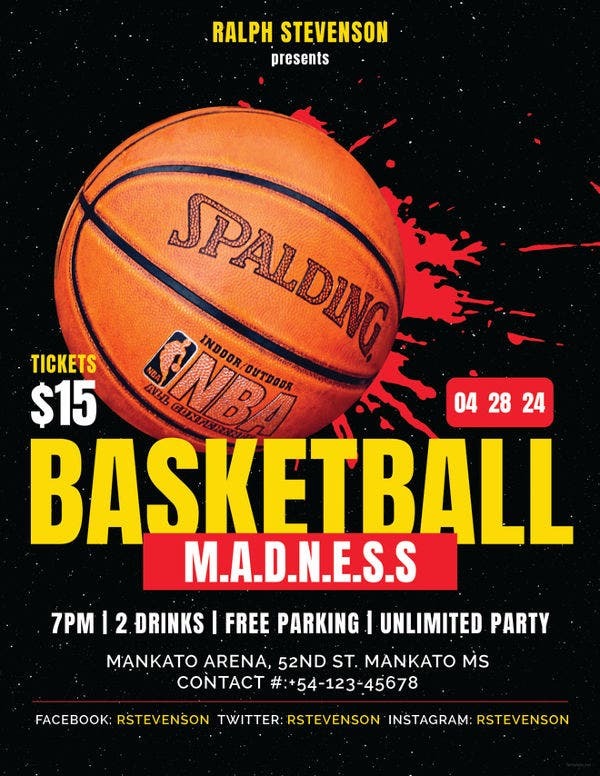 These basketball flyer templates come with various formats like basketball flyer template word, and free basketball flyer PSD. They come with different sizes and well organized layers. They are widely used in promoting business and highly useful for graphic designers as well as business owners. 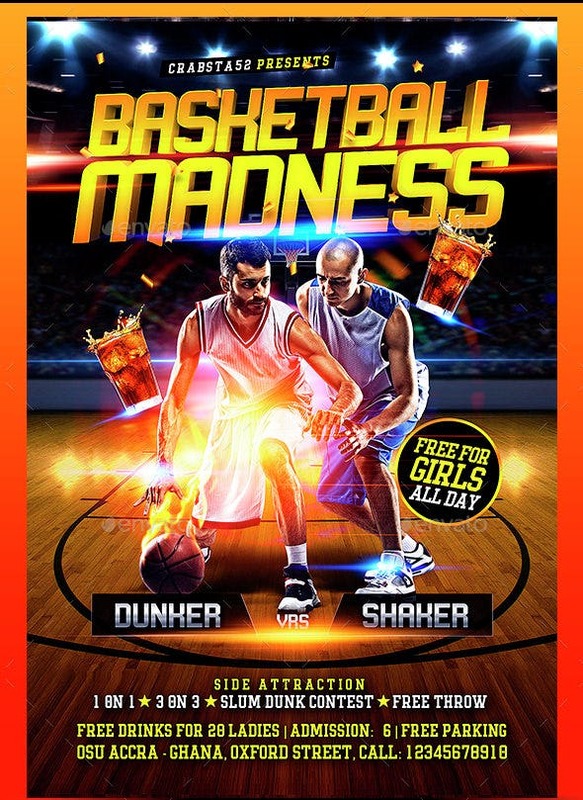 One can search Google using free basketball tournament flyer template, basketball flyer psd free download, basketball flyer template download or 3 on 3 basketball tournament flyer template and know more about these flyers.